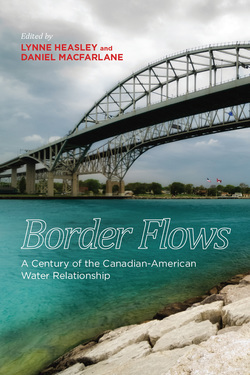 Border Flows traces the century-long effort by Canada and the United States to care for the ecologically and economically shared rivers and lakes, a challenge that the editors call "a fundamental environmental and moral concern of the twenty-first century." "Reading Taylor's incisive and critical seventh chapter. . . . there has never been a unified political entity that controlled the Salish Sea [and] the presence of pollutants varies across space within the Salish Sea and that people's access to, and reliance on, different fish varies by both geography and class." "Joseph Taylor returns to the Salish Sea, using the ecology of toxic chemicals to consider the meanings of diverse kinds of borders--including those that separate ourselves from nature."